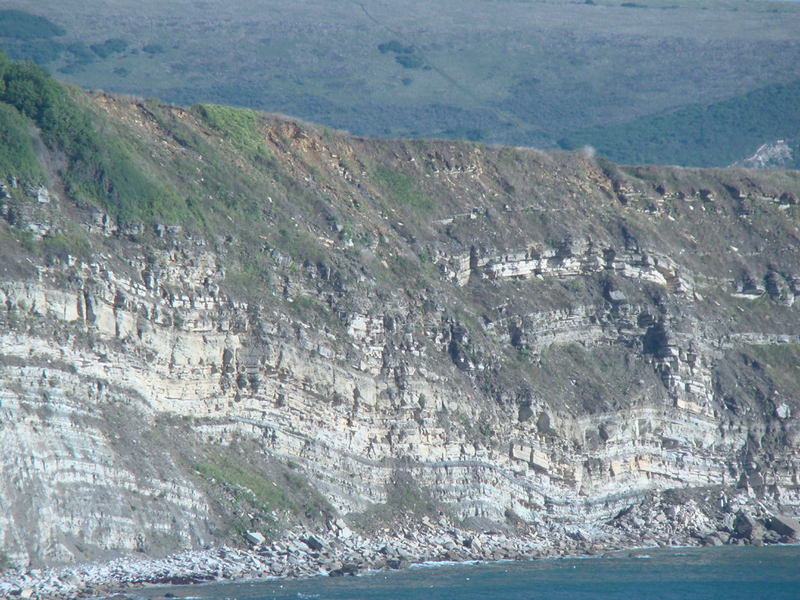 Durlston's coast forms part of the Jurassic Coast World Heritage Site. The Jurassic Coast is England’s only natural world heritage site. World Heritage status was granted because of the site's unique insight into the earth sciences as it clearly depicts a geological ‘walk through time’ spanning the Triassic, Jurassic and Cretaceous periods. If you were to walk its length you could view 160,000,000 years of history from the 250 Million Year Old Triassic deserts of Exmouth to the 90 Million Year Old Cretaceous tropical seas of Old Harry Rocks. Durlston's rocks were formed in the late Jurassic and Early Cretaceous periods and the site provides a unique record of life and habitats in the early Cretaceous. The rocks at Durlston were laid down between 150 and 135 Million Years Ago. 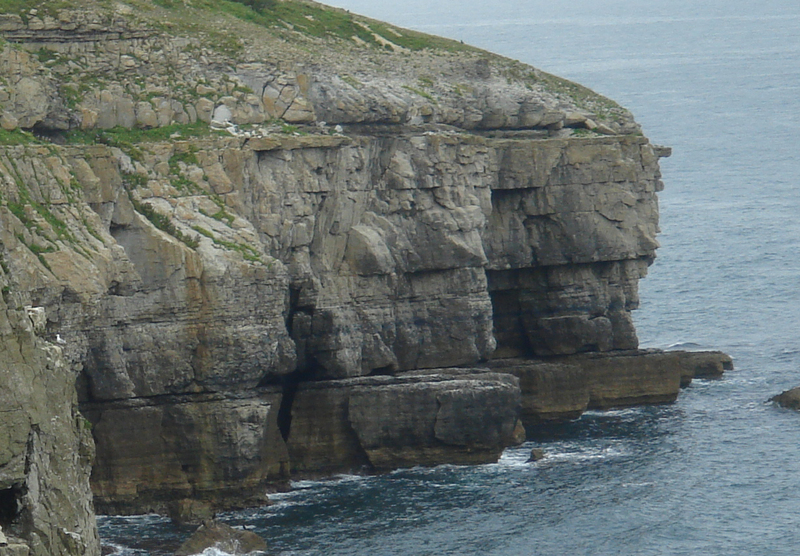 The sheer cliffs situated around Durlston Head and at the south of the park are made of Portland Limestone. Durlston's landscape has been shaped by weather, earth movements and quarrying.